Mindfulness meditation offers us a way to feel clear and present even in hectic situations. A regular mindfulness practice can create significant changes in the brain. 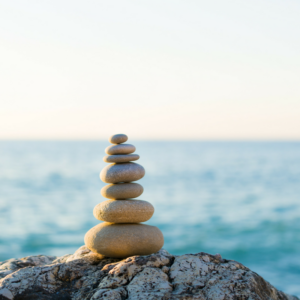 Practicing mindfulness eases the impact of stress on our body and mind. Through this practice, we naturally cultivate qualities such as clarity, compassion and patience. Feeling stressed? Come learn how to get started! Participants will learn how to set up and maintain a mindfulness meditation home practice with the support of a qualified teacher. We will explore mindfulness techniques that are designed to calm and stabilize our minds. Participants will learn how to bring the benefits from their home practice into their everyday life. This class will be held in a relaxed atmosphere, where discussions and questions are encouraged. It is aimed at those new to meditation but open to all levels and a great way to deepen your practice through community and guidance. Cost: $90 for the full series. Contact Molly at molly@mollymccarthy.com to sign up! While there have been many proven benefits to having a meditation practice, those benefits are not experienced by changing who we are; but by opening to more of who we inherently already are. A meditation practice supports us in touching into our natural capacity for empathy, focus and creative thinking – essentially we are tuning into our own emotional intelligence. By meditating we are training our minds to be stable and calm within the speed and stress of life. Through our practice, we are setting the conditions to touch into the capacity of our heart and be more present, patient, and compassionate with those around us (including ourselves). In this series, participants will be supported by a qualified instructor in learning how to set up a home mindfulness meditation practice. Students will experience techniques grounded in mindfulness to support their natural capacity to reduce stress, increase health, and live a more present life. 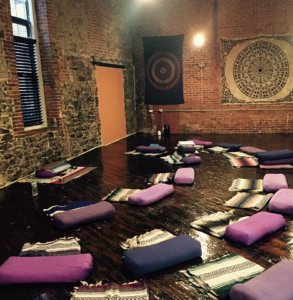 Each class will consist of gently guided practice, discussion, and plenty of time for questions. This series is geared toward beginners but open to all as a way to deepen their practice through community and support. Participants will receive email support in-between classes as part of the series. Cushions and chairs will be provided.